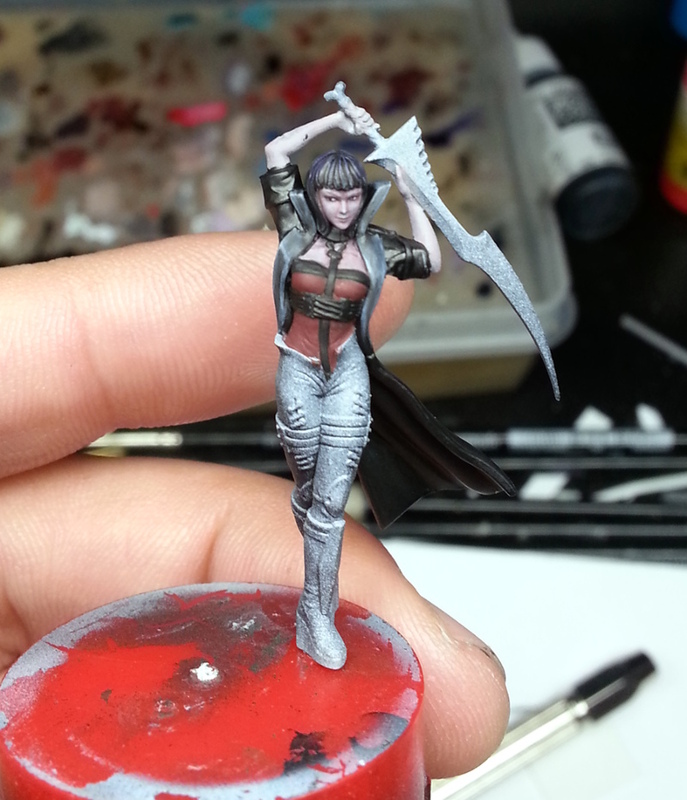 Here is a WIP post on Lilith for Malifaux. This miniature is part of the Mother of monster crew box for the game Malifaux and I´m planning to paint the entire crew sooner or later. So far I have painted the Cherub and one of three Terror tots (well, one and a half to be honest, the base is still left to do on the second Terror tot). 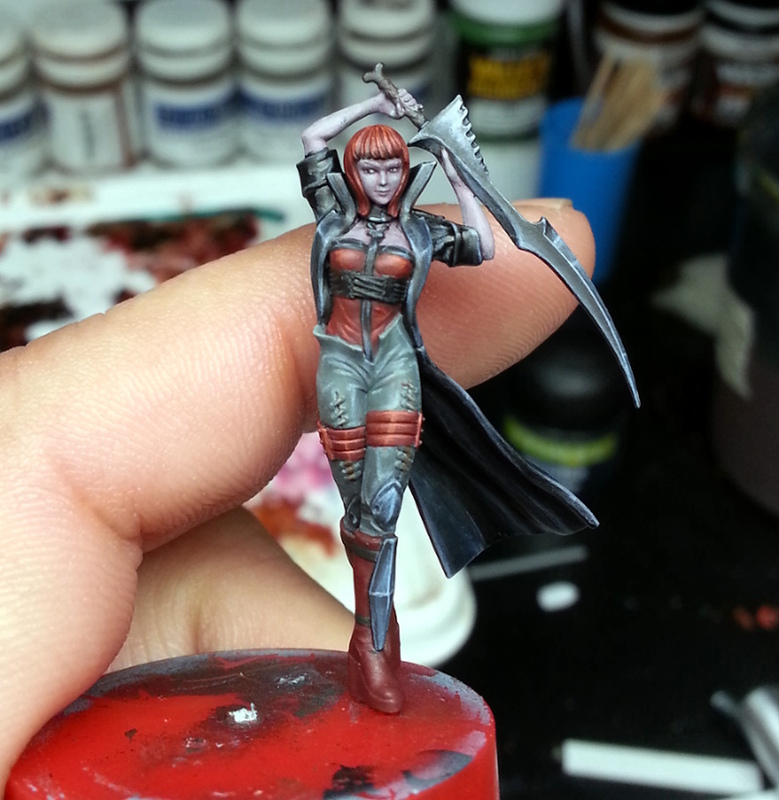 Lilith was meant to be a practis miniature, wich meant that i would try to do many things I tend to avoid, like painting black, NMM and tattos! So far I have had a hard time painting this mini but I´m slowly seeing the end of the tunnel as I feel like one thing after another kind of works. Have it been easy, no! Did I enjoy it, well yes! Here are some pic´s on my progress on here.I´m sorry that I don´t have pic´s on every step but I think you will get the idea anyway. 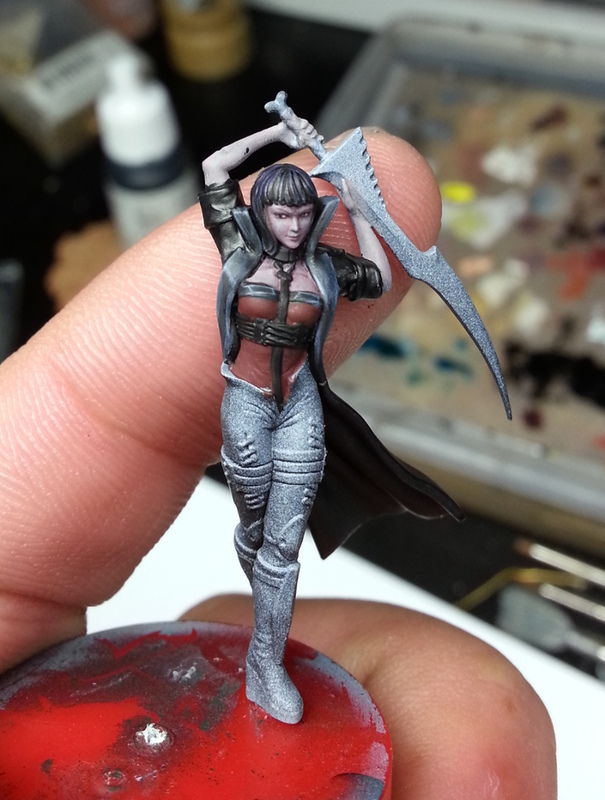 First step of painting, my initial ideaa was to give here black hair instead of the usual red. I then started to block out colors aruond the skin parts to see how it would look. Then I suddenly changed my mind and gave her red hair again. I have also started to paint the trousers and sword. 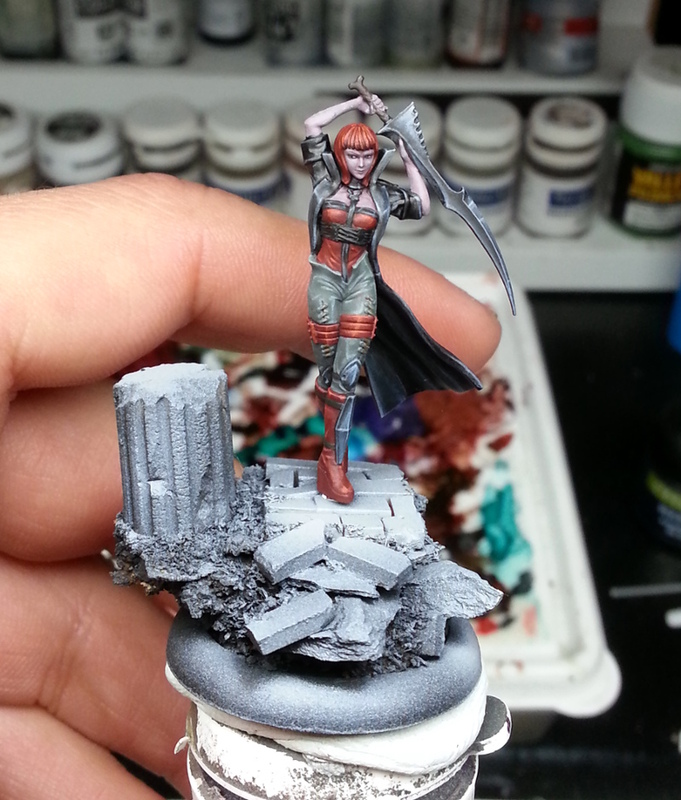 A test on how she would look on the unpainted base. I blocked out the colors for the base, added a few orange/red stones for som variation. 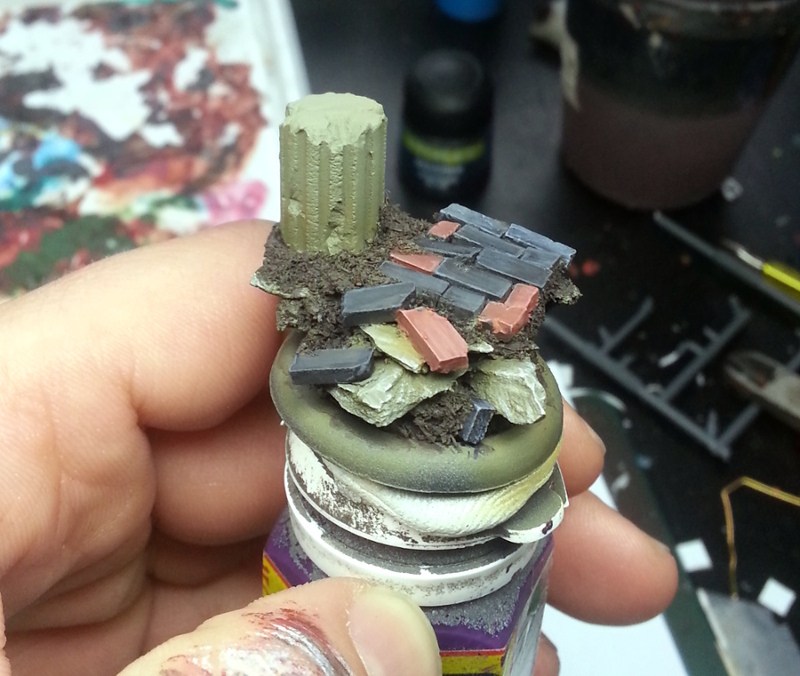 A quick test with the miniature on the base to see how it would look, still verry rough. 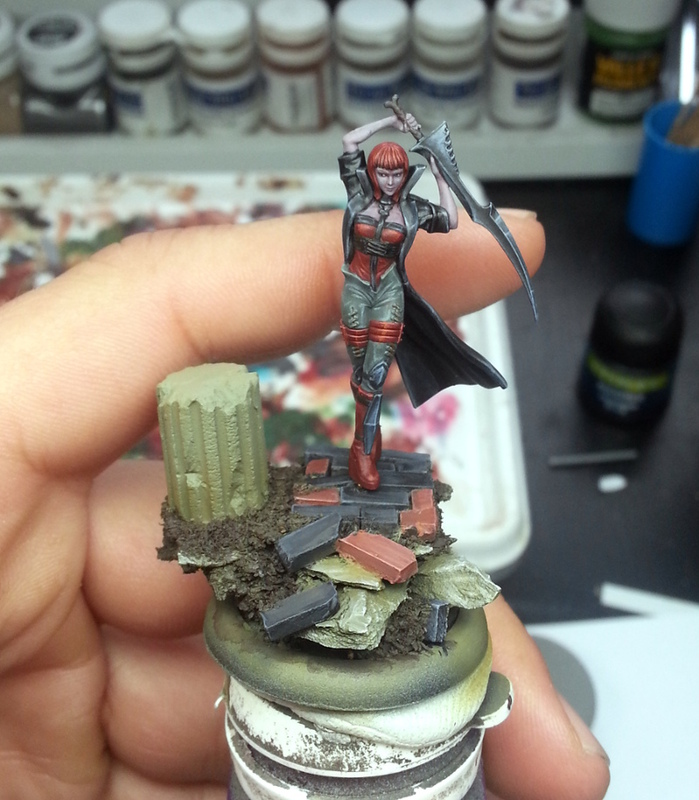 I started to highlight the base and this is pretty much her current status. I hoping to have her done in the next two day´s. If you have any tipps for painting those parts I’d really appreciate it. 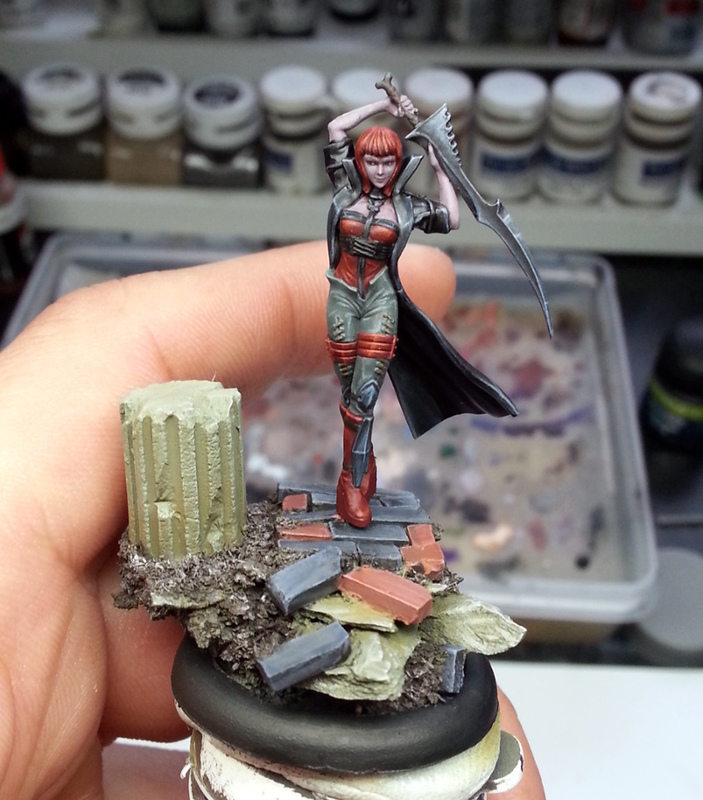 Yeah, the Malifaux miniatures are quite a challange, but that´s also that who makes them so much fun to paint! 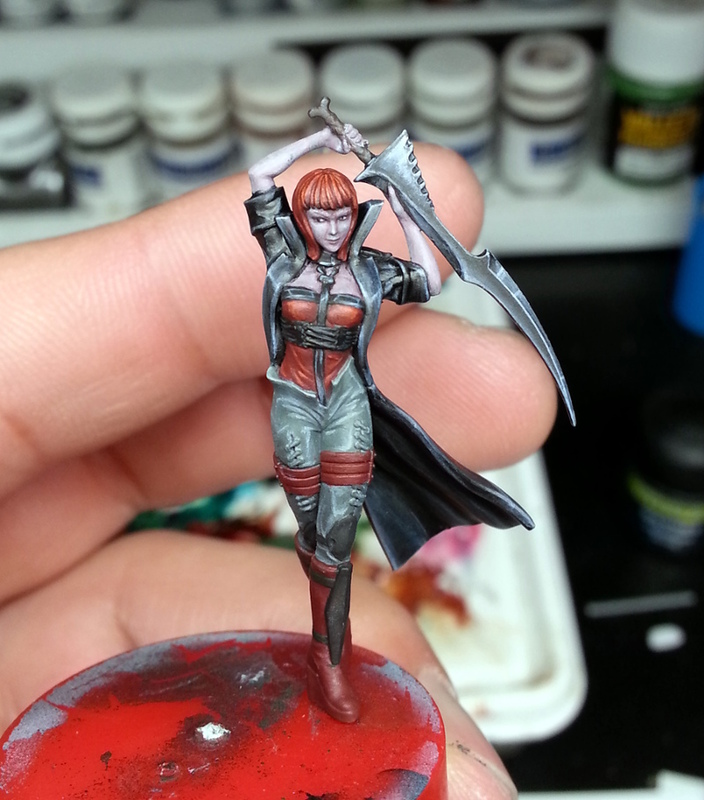 About tips, when I paint a face i usually do the basecouat and a first shadow then I go for the eye´s. That way I don´t risk messing upp the face when painting the eye´s later. I do the off-white on the eye and then outline it with a rather dark shade of the basecolor (I might change that later depending on the look I´m after). Then it´ss the pupil with a dark blue, green, grey or whatever color i want the eye to be. I try to avoid pure black if I´m not after a special effect of some sort. I pretty much think it´s about that. I can try to do a whole blogpost about it later. Thanks a lot for sharing your thoughts on that topic, very helpful.